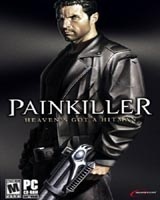 DreamCatcher Interactive and JoWood Productions have announced that they will be publishing Painkiller: Overdose, a new add-on for the surprise 2004 hit FPS Painkiller. The add-on is being produced by Mindware Studios, a Czech developer whose previous project was the 2005 release Cold War. Despite Mindware's status as a commercial developer, the project was originally conceived as a community mod, but the involvement of DreamCatcher and JoWood will provide the company with the additional resources necessary to create a retail-level expansion. Albert Seidl, JoWood president and CEO, said, "We are thrilled to be endorsing this project and look forward to working closely with Mindware Studios. The excitement from Painkiller fans around the world is mounting and we will be happy to deliver what they've been waiting for!" Described as a prequel, the add-on also promises to tie up loose ends in the original game. It will feature 16 new levels, a new character and storyline, six new weapons, a "reshuffled" Tarot deck, and over 40 warped monsters from Hell including new End Bosses. Of particular interest to fans, Mindware has also signaled a "revitalized commitment to multiplayer," which includes stat tracking features, more robust server options, and compatibility with the original Painkiller multiplayer maps and modes. Painkiller: Overdose is scheduled for worldwide release in October of 2007. More information is available at the official Project Overdose website.